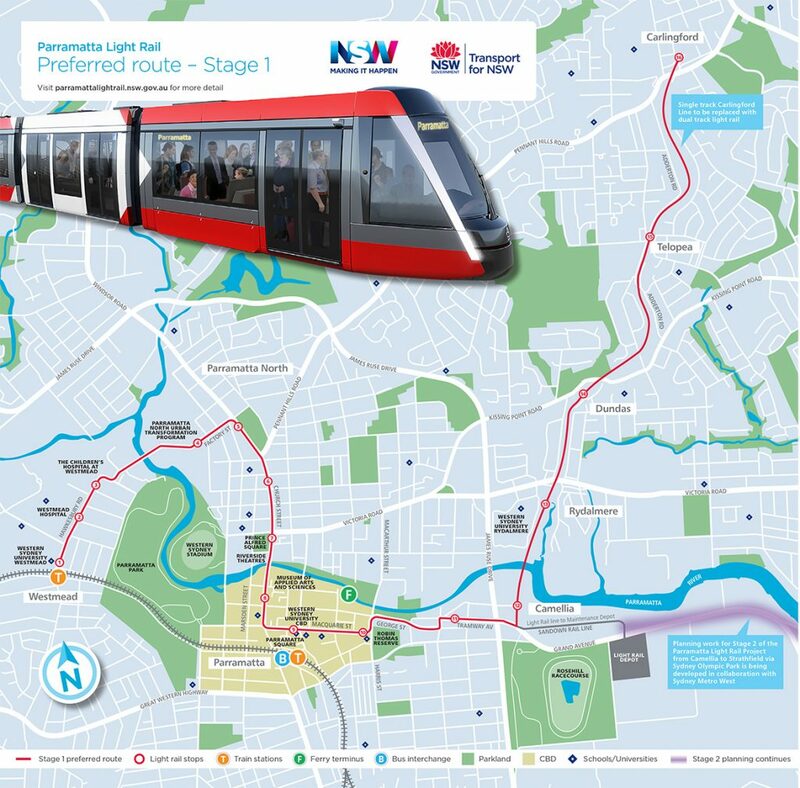 The Parramatta Light Rail preferred route has been announced on the NSW Government’s official website for the project. The route will extend from Westmead to Carlingford via the Parramatta CBD. The Parramatta Light Rail will discontinue the use of the T6 railway line on the Sydney Cityrail suburban network, it will be converted for exclusive use by the new Parramatta Light Rail network. The line will also run directly through the Parramatta CBD connecting the CBD with the health & education precinct at Westmead & Rydalmere. It will completely transform public transport in the region with an interchange at both Westmead & Parramatta heavy railway stations. It was originally expected that the line would have a branch from Camellia to Strathfield via Sydney Olympic, however, this route has been postponed due to the potential of the Sydney Metro West project running along the same route. An announcement for the branch extension is now expected to be made in conjunction with the Sydney Metro West project which will eliminate potential duplicate stations. 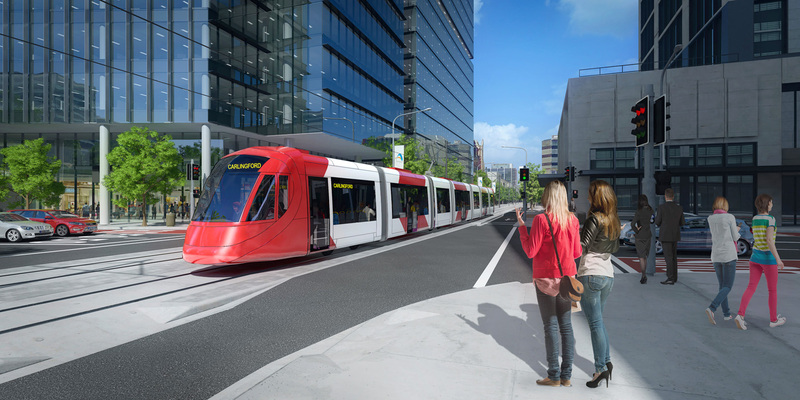 It is expected that construction of the Parramatta Light Rail will begin sometime in 2018 & the total cost of the project will be north of $2 Billion. The project cost includes the branch to Strathfield via Sydney Olympic Park so they could be revised downward for this line alone. This is a vital piece of infrastructure which Parramatta needs in order to truly become Sydney’s 2nd CBD. This project shows the government is getting serious by building the Infrastructure Western Sydney needs as it is the 3rd biggest economy in Australia (After Sydney Proper & Melbourne). 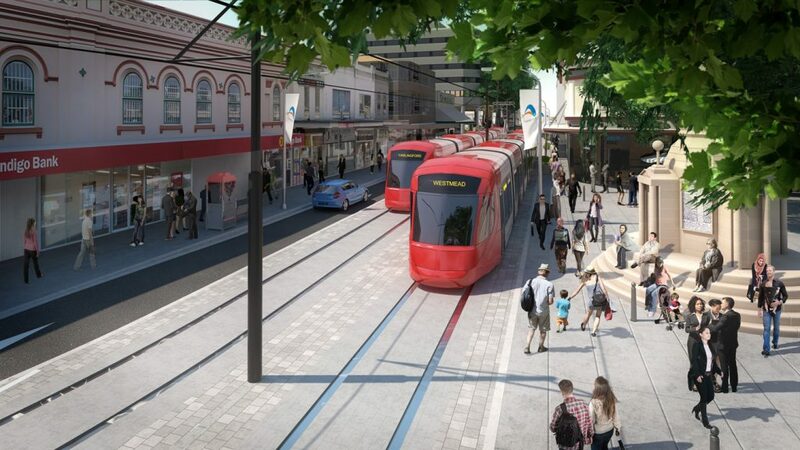 A further discussion of the project will take place on the Parramatta Light Rail forums.